It’s fall and my lips are DRY! I started using EOS lip balm. You know, the one in the sphere. It feels great going on and it made my lips feel good for a few days. Until it didn’t. I was dividing some iris in the yard and by 3 p.m. my lips were really chapped and they hurt! I’d never had this problem before, but I had heard of a lip balm addiction. Wondering if there really was such a thing, I Googled it. Lip balms that include occlusive ingredients (like petrolatum, beeswax, or mineral oil) create the 2nd problem. “These formulas create an artificial barrier to lock in moisture, but when overused, can cause lips to become lazy because the skin doesn’t have to work to maintain its own hydration level. You have to go through the dry spell to get lips back to normal and working on their own again before applying another balm,” says Dr. Zeichner. Learn more in our post, 20 Ways to Care for Chapped Lips. It's ironic, but lip balms OFTEN contain irritants that can make chapped lips even worse. What does an allergic reaction to a lip product look like? Typically symptoms occur within hours of application. In some people, swelling and small blisters appear within minutes of applying lip balm. There can be redness, scaling or dryness, and an itch. The allergic reaction can spread to the face and neck and usually lasts as long as you continue to use the lip balm. Sunscreen in lip balms is good, but chemical sunscreens commonly cause a kind of allergic reaction called contact dermatitis. Instead, look for physical / mineral UV blockers like Zinc Oxide or Titanium Dioxide. They sit on top of your skin instead of being absorbed into the bloodstream like a chemical sunscreen. To learn more, read our post, Physical Sunscreen vs. Chemical | Which Is Better? In a study by Rodriguez et al., 2006, ultraviolet filters frequently produced allergic reactions. The most common allergy was to benzophenone-3 with 22 out of 82 people (26.8%) testing positive for an allergy, followed by octyl methoxycinnamate (8 out of 82 people were allergic). Avoid these ingredients in an SPF lip balm: Oxybenzone (also known as benzophenone-3), Octinoxate, Avobenzone, Octisalate, Octylcrylene, Octinoxatbenzone, PABA, and Cinnimate. DermnetNZ.org lists Octyl methoxycinnamate as the most widely used UVB blocking agent used in the skincare industry today. Lots of lip balms are marketed as “all natural.” Unfortunately, all natural does not mean that a product is free from fragrances that can cause allergic reactions. A study by Tran et al., 2010, compared 4 patients with an allergic reaction (redness and swelling) to lip balm. The study showed that peppermint oil was the most likely cause of the contact dermatitis. Even products labelled as “unscented” or “fragrance free” can contain fragrance. How is that possible? Sometimes manufacturers use fragrant ingredients as preservatives. In many cases they are used to mask unpleasant chemical smells or to add flavoring. Because there is no legal definition or FDA regulation for these terms, it’s up to the manufacturer to decide what they mean. Often your definition of “unscented” or “fragrance free” is very different from theirs. Avoid these flavoring & fragrance ingredients: Menthol, Camphor, Eucalyptus, Limonene, Linalool, Myroxylon pereirae (Balsam of Peru), Citral, Cinnamaldehyde, Peppermint oil, Geraniol, and Citronellol. LOTS of lip balms – and other cosmetic products – contain vitamin E. If you’re not allergic, it’s a great ingredient for skin, especially when used in combination with vitamin C and Ferulic Acid. (Learn more in our post, Why is C E Ferulic so popular?) But for those who are allergic, both the natural and man-made forms can cause contact dermatitis. A study in 1999 by Baumann and Spencer studied 15 post-operative patients to see if topically applied vitamin E had any effect on the cosmetic appearance of their scars. Of the patients studied, 33% developed a contact dermatitis to the vitamin E.
Preservatives are chemicals added to cosmetics to prevent product degradation and the growth of bacteria and fungi. Preservatives are usually nontoxic, inexpensive, and have a long shelf life. Unfortunately, they are also a common cause of contact dermatitis. A huge number of skin care products contain preservatives. And the higher the concentration of preservative, the more likely you will develop a contact allergy. Patients who are allergic to preservatives can get a local or widespread allergic reaction. The industry has tried to replace parabens with “safer” alternatives to meet consumer demand. Even so, parabens are still the most frequently used preservatives in cosmetics – and ironically seem to cause far fewer reactions than most of the newer preservatives. Parabens (methyl-, ethyl-, propyl-, butyl-, or benzyl-), it is estimated, are in 87% – 93% of cosmetic products. Most lipstick, mascara, eye shadow, and blush contain parabens as a preservative because they rarely cause irritation and are economical to use. Many safety groups have warned consumers to avoid products with parabens, even though studies, like this one, show that parabens cause very few allergies: Warshaw et al., showed that only 1.1% of cosmetic allergic reactions were caused by parabens. A study by Goossens et al., found that among patients with cosmetic allergies, 19% had an allergic reaction to preservatives in makeup. So if parabens aren’t a big cause of allergic reactions, which preservatives are? Formaldehyde, derivatives of formaldehyde, and formaldehyde-releasing preservatives (diazolidinyl urea and Q-1518) often cause allergic reactions. The problem is that sometimes product labels don’t list formaldehyde releasing preservatives. The North American Contact Dermatitis Group studied patients with makeup-induced contact dermatitis. From 2001 to 2004, 9.1% of the patients reacted to Q-15 (Quaternium-15). Fisher’s Contact Dermatitis lists it as a more common allergen in the U.S. than any of the other topical preservatives. Most people who are allergic to Q-15 are also allergic to formaldehyde. Learn more in our post, How to Tell If Your Organic Skincare Really is Organic. Red dyes are widely known to cause allergies in tattoo inks. Unfortunately, they also cause allergies in cosmetics. In the 1950s, a red dye called eosin was used to stain lips. It was the most common cause of cosmetic allergies. They later found that a chemical contaminant in eosin was causing the allergic reactions. As fashion changed and research advanced, a purer form of eosin evolved and the rates of contact dermatitis decreased dramatically. Since then, federal regulations have been passed to protect consumers from dyes. Unfortunately, even with regulation, dyes still cause reactions. 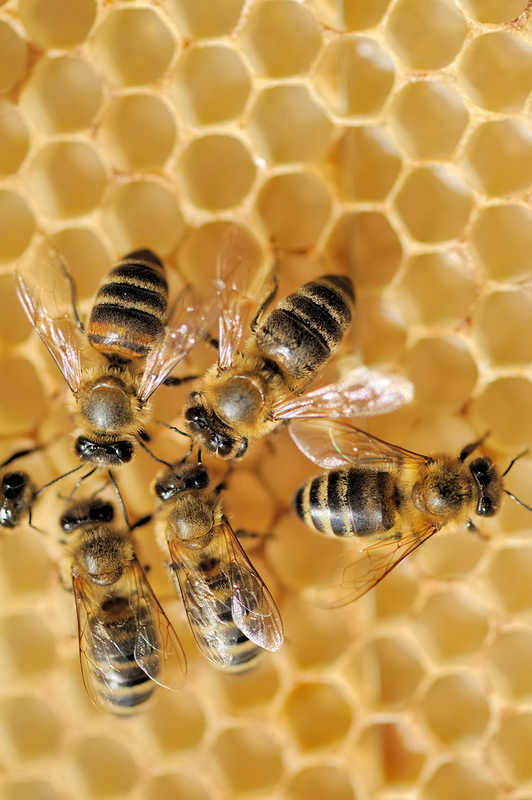 Propolis is a resin-like substance that honeybees collect from trees. They use propolis to fill crevices and to seal the spaces in their hives. A study by Basavaiah and Suryakanth in 2012, found Propolis to be one of the most frequent contact sensitizers. Possible reactions include pain, redness, peeling, and inflammation of the lips and mouth. Salicylic acid and phenol are exfoliants that peel the protective layers of dead skin off your lips. They dry out lips and create a tingling sensation. It’s the exact situation that makes people think they have a lip balm addiction. When lips become dry from these exfoliants, people instinctively reach for the lip balm – and the cycle begins again. Castor oil is a thick liquid found in LOTS of lip products. It comes from the seeds of the Ricinus communis plant better known as the castor oil plant. The oil is made up of about 80 – 90% ricinoleic acid. In 2000, Lim and Goh did a study of people with a history of red, dry, scaling lips that lasted, on average, 16 months. For women in the study, lip cosmetics accounted for 54% (44 people out of 81) of the cases of contact inflammation – and Ricinoleic acid and the patient’s own lip preparations were the most common contact allergens. What should you do if you have an allergic reaction to lip balm? Moisturize your lips with a lip balm that has a short list of ingredients. Pure shea butter or a pure, medical grade lanolin should do the trick. (I’ll write more about lanolin below.) After your lips have healed, you can retest your old lip balm. If your dry lips reoccur, you’ll know you’re allergic to something in the formula. Because there are so many ingredients in cosmetics, it can be difficult to figure out which particular ingredient you’re allergic to. And once you've figured out what you're allergic to, avoiding those ingredients is not easy. It requires reading and understanding product labels. Patch testing at a dermatologist’s office is a great tool for people who struggle with contact dermatitis and cosmetic allergies. SkinSAFE is an app from AllergyFreeSkin.com. It contains a database of skin care products that will help you avoid the ingredients that you are allergic to. Companies like Revlon, Almay and Covergirl make formaldehyde-free nail polishes and mascara for people with cosmetic allergies. Another company called VMV Hypoallergenenics, carries hypoallergenic mascaras, lipsticks, blushes and skin care. If you are sensitive to ingredients in lip balms, try medical grade lanolin. Lasinoh Lanolin for lip treatments gets a 4.7 out of 5.0 rating in 256 reviews on MakeupAlley.com. “Lanolin is great for your skin because it’s a complex mixture of lipids that are very similar to the intercellular lipids” (cholesterol derivatives and free fatty acids) of the stratum corneum.” (The stratum corneum is the outer layer of skin that acts as a barrier to keep the good stuff in and the bad stuff out.) “That means lanolin is not only a good waterproofing agent, but it’s also very compatible with skin. It’s particularly good for softening skin because of its emollient properties.” But Schueller also warns that people should be careful before dabbing a big glob of Lansinoh on their lips because the compounds in lanolin can cause allergic reactions. Wait - Are you recommending a lanolin that causes allergic reactions? I'm already having allergic reactions! That doesn't make sense! Let me explain. Lanolin was previously thought to have a high rate of allergic reactions. Recent research has shown that the allergic reactions were to lanolin alcohol instead of purified lanolin. Now we know that medical grade lanolins, like Lasinoh HPA Lanolin, have an extremely low rate of irritation. There was a 3 part study conducted by Ardern-Jones and colleagues in 2002. It evaluated allergic contact dermatitis from 4 types of purified, distilled lanolin. None of the patients showed a reaction to any of the medical grade lanolin preparations. So yes, I'm recommending medical grade lanolin for people who get allergic reactions to lip balms. Please note - this lanolin doesn't include sunscreen. It won't protect your lips from sun damage. So it's great when you need to heal your lips from an allergic reaction. And it's GREAT at night. I use it myself. I looked high & low for a lip balm with SPF. Most of them contain some form of chemical sunscreen like oxybenzone. Then I stumbled across this one - Vanicream Lip Protectant / Sunscreen SPF 30. It doesn't use any chemical sunscreens! AND it contains a whopping 15% zinc oxide - which blocks both UVA & UVB rays. I use it myself. It's a white cream that rubs in easily. It feels good on your lips, and doesn't leave a whitish cast. More zinc oxide is always better for your skin. Learn more in our post, Sunscreen & SPF | Why You Need BETTER UVA Protection! Better yet, the Vanicream Lip Protectant should be great for people with allergies to lip balms. It's specially formulated for people with sensitive skin. It's free of dyes, fragrance, masking fragrance, lanolin, parabens, formaldehyde, formaldehyde releasers, and other preservatives! So cool! I wish you beautiful, allergy free lips and skin! Thanks for reading! You might also enjoy these posts: AlphaRet: A New Retinoid for Melasma, Aging Skin, Sun Damage, & Acne, Light Spots & Hypopigmentation – 9 Ways to Fix Them, and How much Botox will you need? How much will it cost? The Information provided on our website is not medical advice and should not be viewed as such. By law, only a medical doctor can diagnose or give medical advice. As a registered nurse, my goal is to educate, so I provide information on skin care, skin care products, and skin care treatments. If you have any condition that concerns you, please see a medical doctor. While most skin conditions are benign, some – like melanoma – can be deadly. If there is any doubt, please, please consult your physician. Thank you! 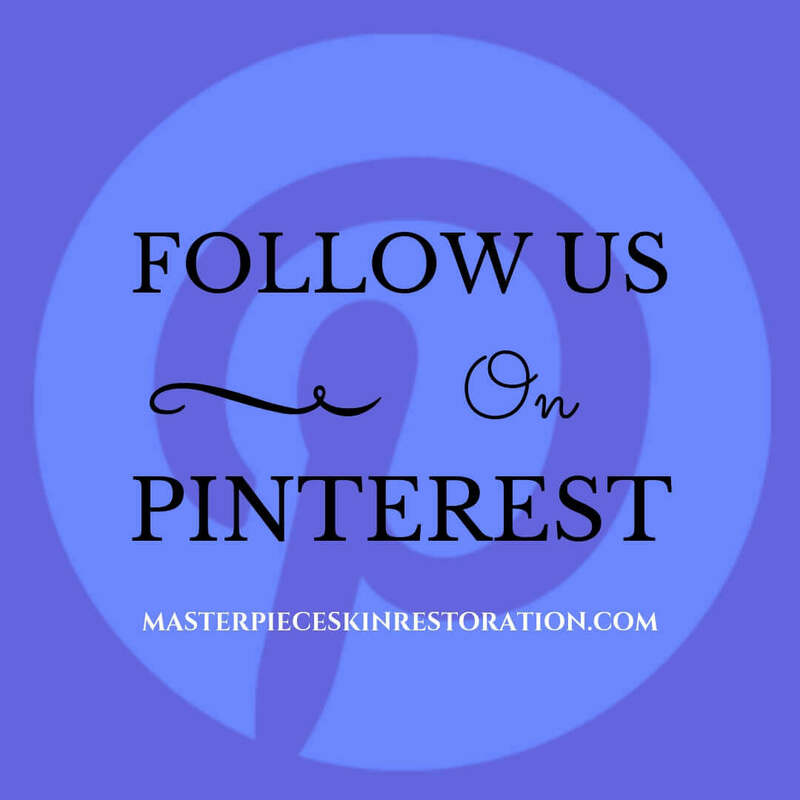 Masterpiece Skin Restoration is a participant in the Amazon Services L.L.C. Associates Program. It's an affiliate advertising program that allows us to earn money by linking to products on Amazon.com and other affiliated sites. If you click on a link to Amazon from this website then make a purchase, we earn a percentage of that purchase. There is no added cost to you!